If I were to ask for a raise of hands for anyone who’s ever seen a 1964 Chevy Chevelle Malibu SS wearing a pair of fender skirts, I’d have to admit that my hands would be firmly at my side. 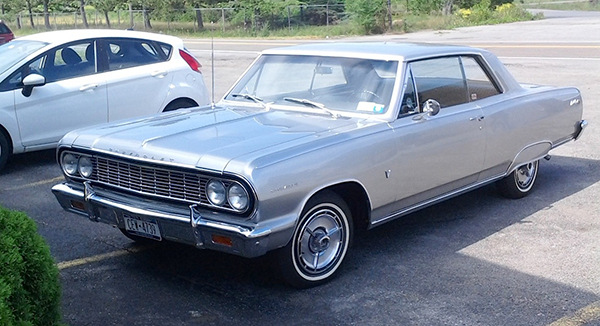 Skirts or no skirts, this is a great-looking example of GM’s highly-popular mid-sized cars of the era. This particular one has Chevy’s 283 V-8 under the hood, and it’s wearing a set of one of my favorite wheel cover designs from the 1960s. It was found last week in Wheatfield. Jim Corbran, RRofWNY Check out our new Facebook page: LuvTheCheapies The post RealRides of WNY appeared first on Buffalo Cars.